It is a contentious can of worms. Species concepts are both essential to understand and at the same time incredibly difficult to define. Species names allow us to discuss fundamental units of biodiversity in any ecosystem and study genome evolution, but jeeze, they’re hard to agree on. Multiple decades of disagreements on the topic have essentially led to a diversification event and landed us with dozens of currently used definitions. As highlighted in a recent review in Molecular Ecology by Cene Fišer and colleagues this month, there are different challenges in defining both conceptual and operational species definitions. Some standard properties that are used to define species include morphology, reproductive isolation (when organisms can’t reproduce with each other even if they are in the same location), and monophyly (when the group of organisms in question forms a single clade). While there are also other standards, there is no universal set that can be applied to all species. To make things even more of a quagmire, cryptic species exist that are morphologically identical but actually different species. 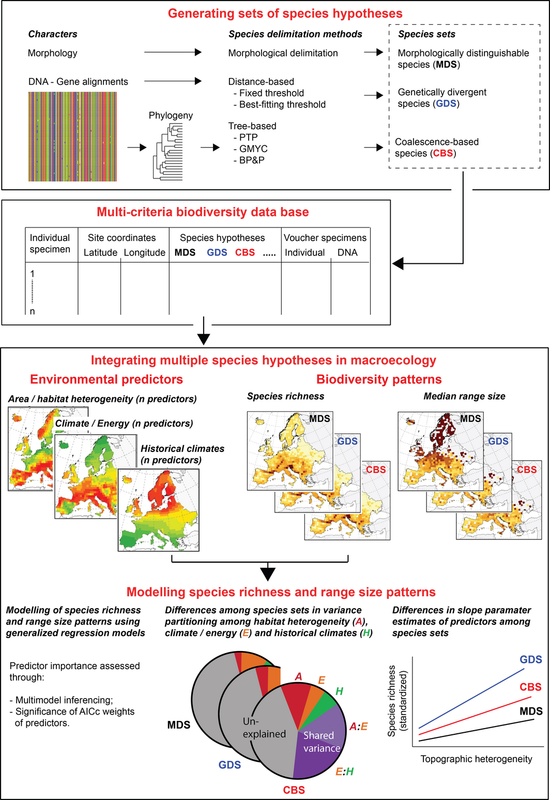 Fišer and colleagues tackle the question of how cryptic species fit into broader discussions of biodiversity and why they are important to recognize. Thanks to sequencing data, it’s become apparent that cryptic species are abundant and exist across the board from parasites and worms all the way to giraffes. Fišer et al. 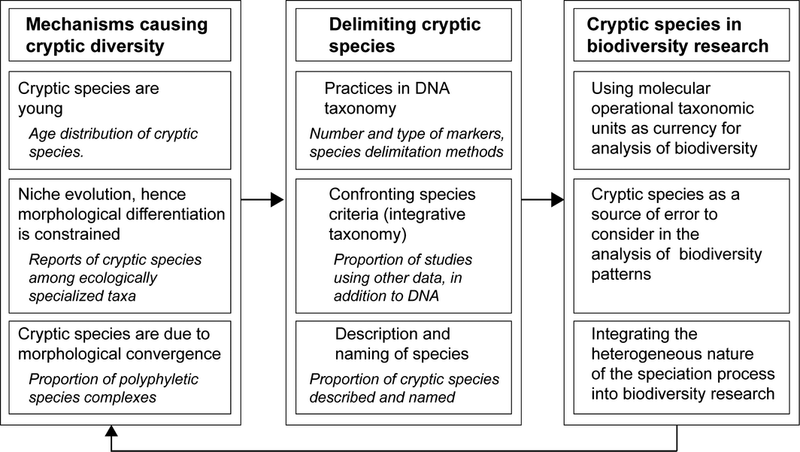 propose improving the integration of cryptic species into discussions on biodiversity and used amphipods as a case study to argue that it’s essential to identify cryptic diversity in order to understand ecosystem dynamics. The authors use amphipods as models for understanding the importance of cryptic diversity for a variety of reasons. 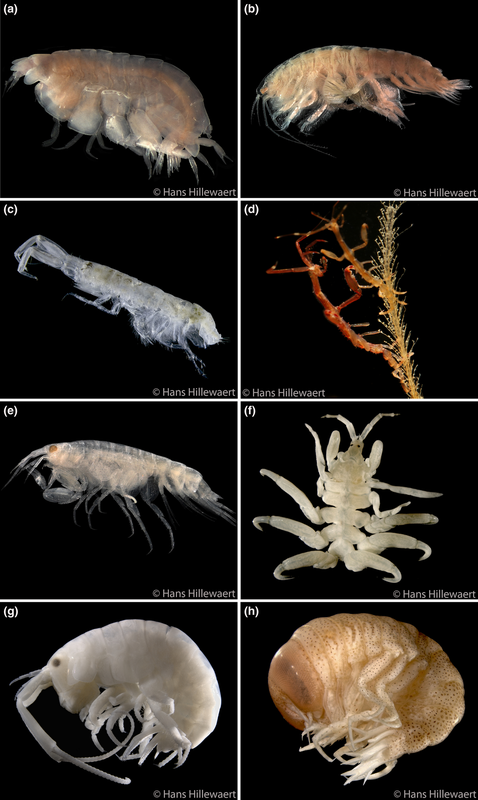 First, there are a bunch of cryptic species within currently defined amphipod species. These cryptic species also exist over a range of different habitats, making a case for understanding why cryptic diversity is created in a variety of scenarios. Additionally, they argue that these little critters are key and play an essential role in ecosystem functioning. Fišer and colleagues searched the literature to pull out information on cryptic amphipod species that had been previously published and ultimately came up with some ideas as to what might cause the generation of cryptic diversity. They suggested that while some cryptic species exist because they have only recently diverged, they also found support for the idea that morphology is related to ecological niche, explaining why some cryptic species have existed for a long time. The authors also provide evidence for instances of convergence (development of the same physical features in distantly related organisms due to selection), which can also account for some cryptic species. While there is a lot to digest in this review, it’s an interesting summary of the importance of cryptic species, as well as the challenges that these sneaky lineages add to understanding biodiversity, community function, and evolutionary processes in a variety of ecosystems. It also is a reminder about how access to sequence data has changed our view on the myriad definitions that the word species represents. The authors also bring up the idea of effective conservation management strategies, as it is important to recognize the full extent of biodiversity in an ecosystem before trying to conserve what’s there. I suppose a giraffe by any other name would still smell…well, like a giraffe (whatever that might be exactly), but it is still key to recognize the importance and utility of molecular tools in helping define species and appreciate how diverse the creatures are in different environments so that we can better understand their role in an ecosystem and preserve genetic diversity. I'm currently a postdoc working at the Hawai'i Institute of Marine Biology with Dr. Mike Rappé. I'm interested in the biogeography and ecology of microbes, especially of the marine variety. After studying a unique genus of marine bacteria at Scripps Oceanography in grad school, I moved to France, where I worked with a group studying yeast population genomics. In my free time, I like to do outdoorsy stuff, travel, and cook. This entry was posted in evolution, Molecular Ecology, the journal, speciation, species delimitation and tagged amphipods, biodiversity, cryptic species. Bookmark the permalink.